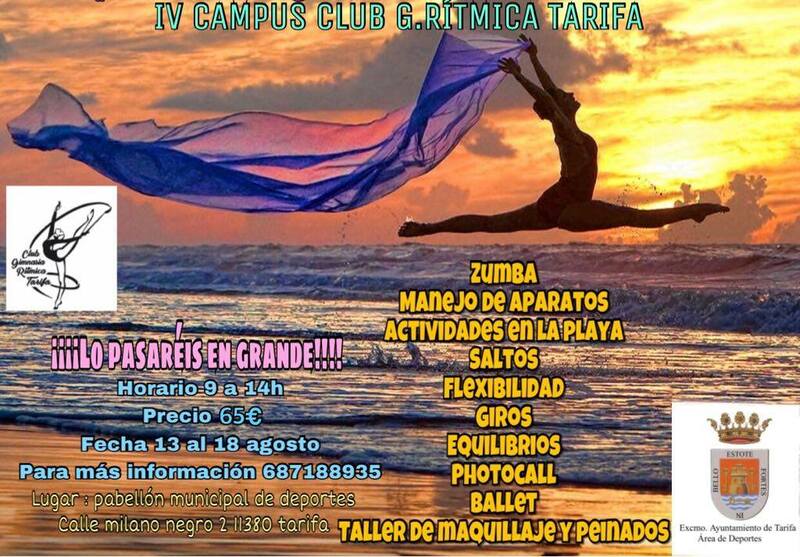 The rhythmic gymnastics club of Tarifa organizes a new summer campus. It will be the fourth, with an intense week of learning and concrete practice of technical aspects such as jumps, turns, balances and flexibility. The IV Campus of Rhythmic Gymnastics will be held between August 13 and 18, but you can now reserve a seat at 687 188 935. It will be taught at the Marina’s sports center, the club’s usual venue, in intensive morning hours, from 9 a.m. to 2:00 p.m. It includes recreational activities such as the practice of zumba, games on the nearby beach or makeup and hairstyle workshops, characteristic of rhythmic competition gymnastics. Those interested can obtain more information on the telephone number provided.